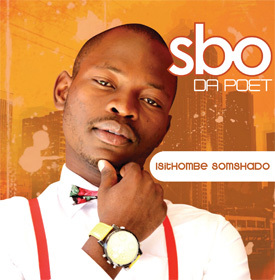 THE multi-talented and now applauded ethnic rapper SBO DA POET has completed his first album, ISITHOMBE SOMSHADO. ONCE again this offering is ethnocentric in nature and yet uncompromisingly hip-hop. SBO thanks Ncwane Communications (S'Fiso Ncwane) for letting SBO DA POET tell his own story in the manner and style that best epitomizes his love for hip-hop culture and rap music, while staying true to his identity and his native roots. Gospel giant S'Fiso Ncwane features on this album. THIS album puts to rest any shadow of a doubt – in the event that for some strange reason it ever crossed your mind – that SBO DA POET was going to come to pass. SBO DA POET'S music and lyrics touch on a wide range of topics from xenophobia to our Zulu gimmicks. When the history of South African hip-hop is ever documented for generations to read and learn, Sbo da Poet's contribution will stand the test of time. The album ISITHOMBE SOMSHADO is distributed and part marketed by REVOLVER RECORDS.